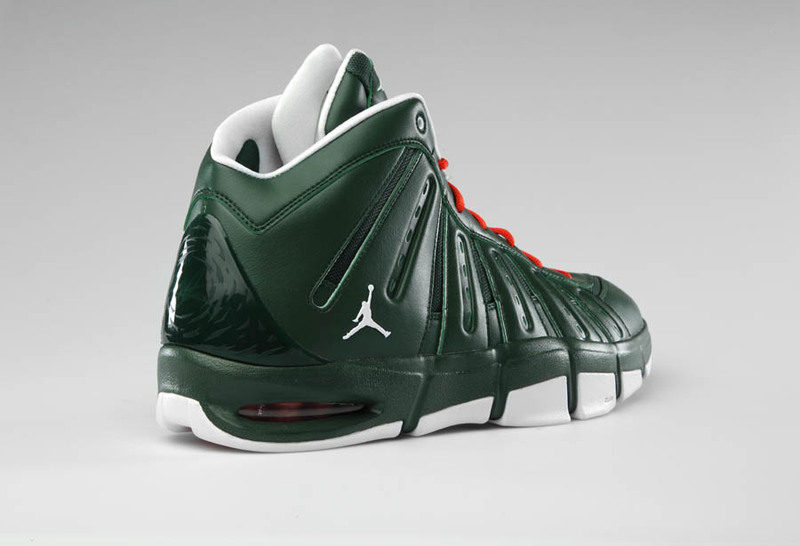 Look for 'Melo to hit the court tomorrow night versus the Memphis Grizzlies in this St. Patrick's Day Player Exclusive edition of the Jordan Melo M7. 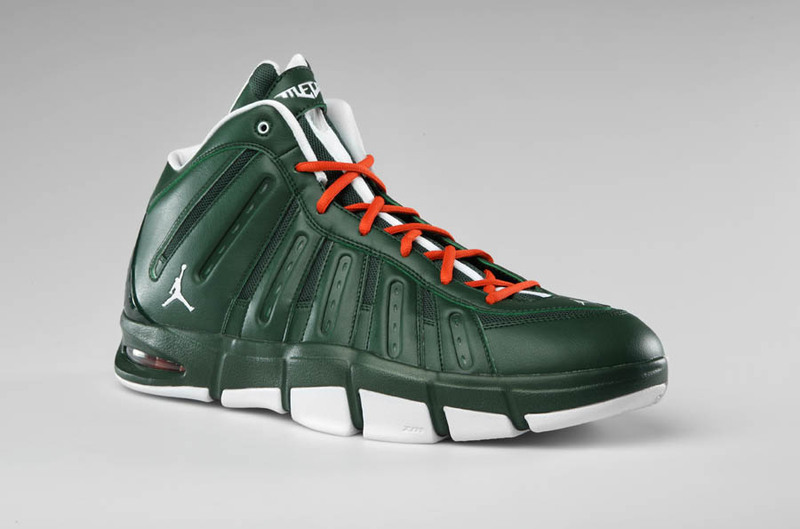 While we all eagerly await the arrival of a New York Knicks inspired Air Jordan for Carmelo Anthony, the Jordan Brand has put together this special edition colorway of the Jordan Melo M7 for the Knicks' St. Patricks Day battle with the Memphis Grizzlies. Luckily for 'Melo, this latest player exclusive put's together the classic Knicks' orange, while still making use of the St. Patrick's Day green. 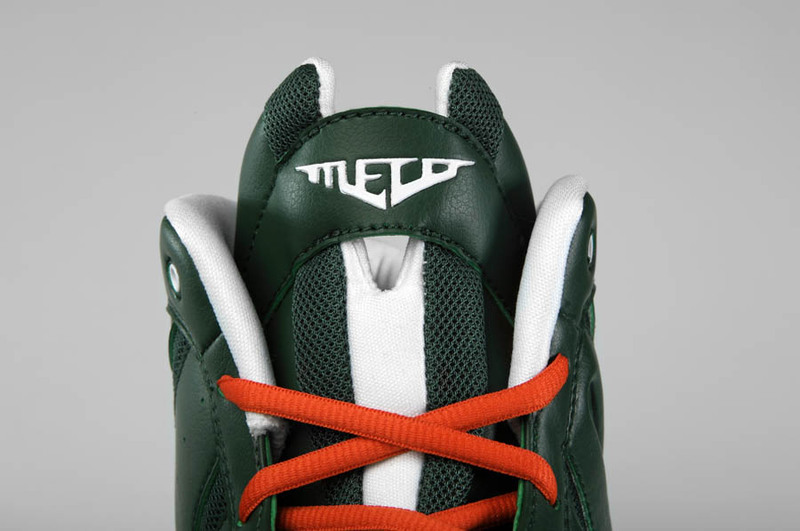 Dark green leather works the entire upper, with the Knicks inspiration coming through in the form of orange laces. White adds a bit of contrast, working on the outsole, sockliner and branding throughout.